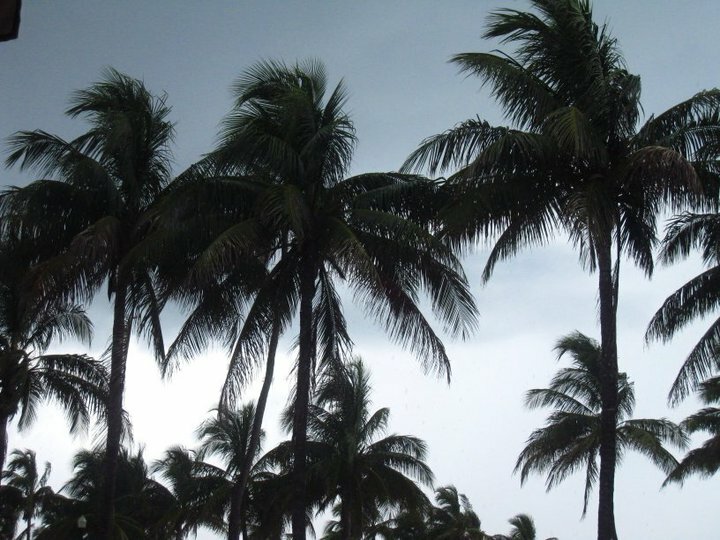 As it gets colder and colder outside, I’ve been thinking about one of the hottest weekends of my life when Gareth and I went to Miami in August 2010 for a weekend getaway. 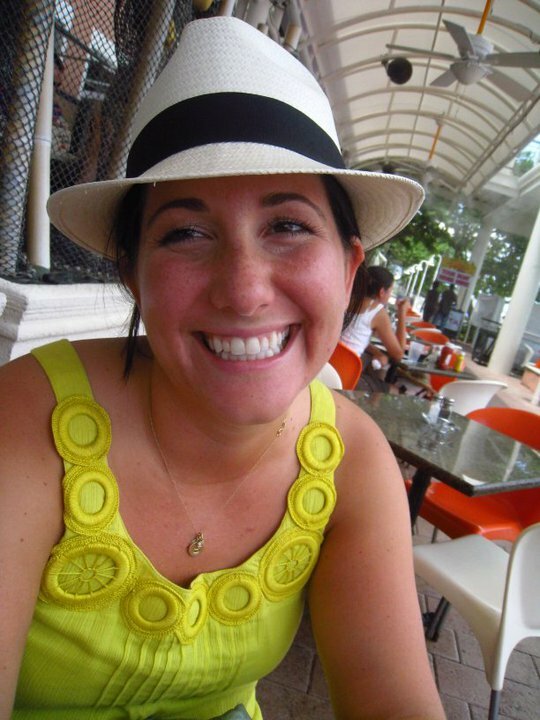 Miami is not really known for its food, but we did our best to explore and try new things. Only one meal really stood out to us, and it was one of the best meals we’ve ever had! 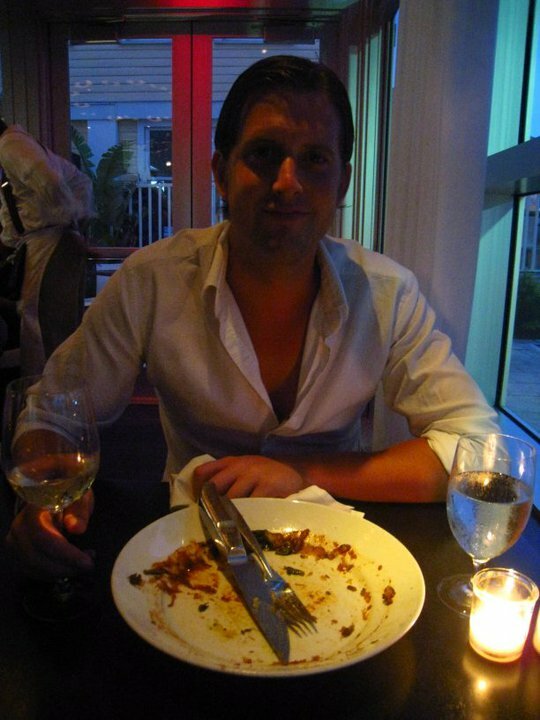 This delicious, stand-out meal was at a restaurant called Prime One Twelve in South Beach. (www.prime112.com) This restaurant was simply amazing. Great service, great atmosphere and GREAT food! 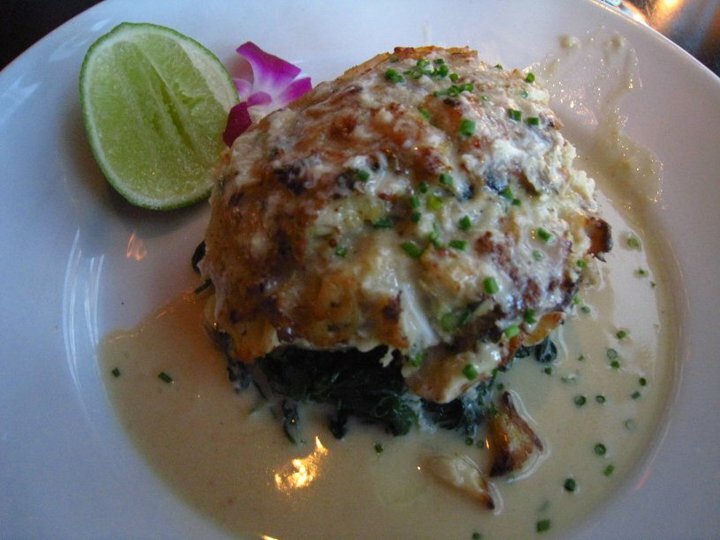 I wanted to order fish since we were on the ocean, so I ordered this dish: jumbo crab cake crusted grouper with wilted spinach and horseradish butter. The flavors were rich but the horseradish and lime cut the heaviness and gave it a punch. I drool just looking at this photo! 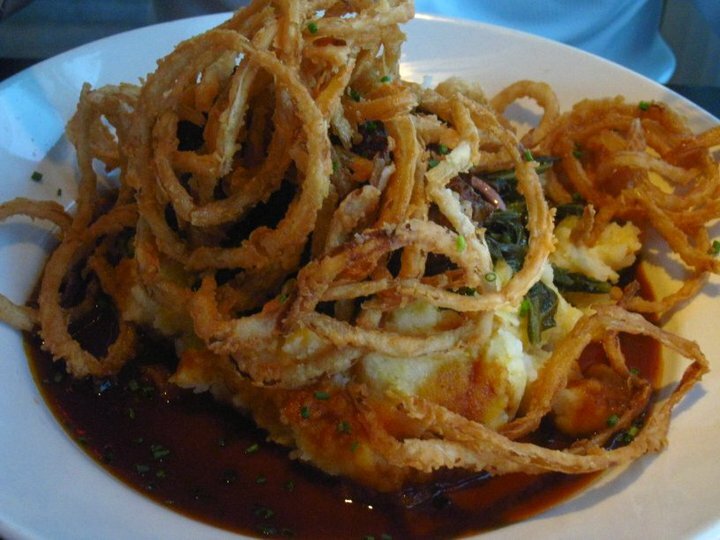 Gareth ordered slow braised boneless short rib with buttermilk mashed potatoes, collard greens and crispy onions. See the before and after below- he clearly enjoyed it! ← The Easiest Guac Around.